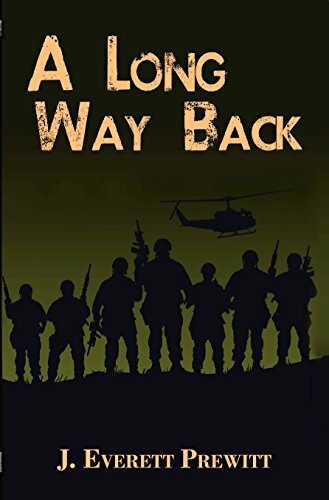 “A Long Way Back” by J. Everett Prewitt is an excellent read that follows a post reporter who is sent to Vietnam to report on the war effort. What he uncovers is the disgusting truth about race in the military and a cover-up designed to protect those in power, while ensuring those who were betrayed are never allowed to have a voice. The story is gripping and it is hard to imagine a time when soldiers would be willing to betray their own. “A Long Way Back” simultaneously covers the issue of race, while also subtly taking a look at combat-related post-traumatic stress disorder. The book’s ability to fairly, and accurately tackle both issues is impressive. J. Everett Prewitt is an excellent writer and his writing style is realistic, intense, and seems to accurately capture the time period and military life. Prewitt writes from both the perspective of the post reporter investigating the case of missing black soldiers in Vietnam, and the perspectives of the missing soldiers. Having both perspectives keeps the story fresh and allows the author to cover multiple points of view. Prewitt does an excellent job creating memorable and believable characters the reader cares about. This book does everything well including pacing, character development, and the storyline itself. It is clear that Prewitt is a good author who is well within his wheelhouse on this one. The only issue I have with the story is that in the second half of the book some of the chapters are told from the perspective of one of the Viet Cong leaders as she stalks the missing soldiers across the jungle. These chapters are short and feel forced, like commercial breaks from the story. I personally feel that they were unnecessary and detracted from the actual story. Given how late in the story these chapters appear and my attachment to the other characters, I just could not find myself caring about the enemy’s perspective and so I hurried through these chapters to get back to the actual story. Aside from those few chapters on the Viet Cong’s perspective, the book never misses a beat, and the attention to detail within the story is impressive. I have no idea if the story is actually based on true events but it is written well enough that I would not be surprised if that were the case. Prewitt has created a powerfully moving novel with “A Long Way Back.” It is not a story for the faint of heart, or those looking for an uplifting read, but for those who are interested in a realistic take on race, Vietnam, and post-traumatic stress; “A Long Way Back” by J. Everett Prewitt delivers a read that will not soon be forgotten. I give it a well-deserved 4 out of 5 stars.